Purchasing a shade sail for your business from Shade Sails Perth is a great idea. 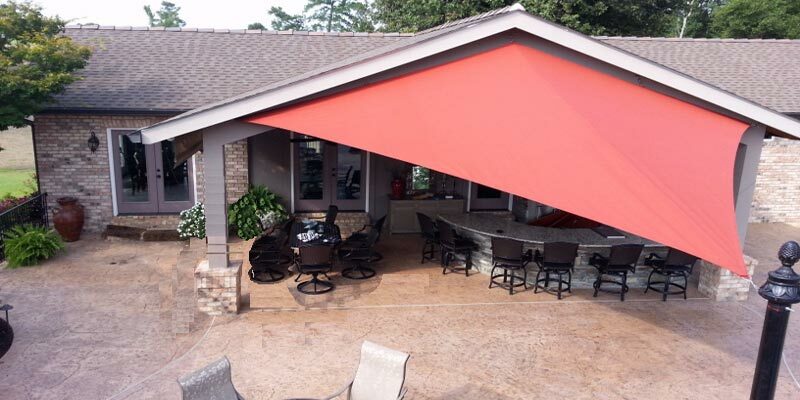 It shows your care about the comfort and well-being of your customers when you provide shade for them to sit in while they are at your establishment. But before you sign on the dotted line, it’s a good idea to read all the fine print to ensure you are getting what you really need. Durability of the product. You’ll want to know exactly how long you can expect the sail to last so you can calculate the overall cost for that number of years. Strength – this is not the same as durability. Some things last a long time but are not that strong in some ways. Strength means that the shade sail, posts and fittings should be strong enough to withstand a reasonable amount of adverse weather and the sail itself should not tear in the wind, or due to being over-tensioned. Percentage of UV protection – this varies with the quality and type of the fabric. Choosing the highest UV percentage will often – but not always – be more expensive, but if your customers get sunburned after sitting under the sail they won’t be happy. Shower resistance – again, cheaper fabrics are not waterproof, but if you don’t need that feature, the why pay for it? Not every business requires their sail to block out the showers. Colour availability – if you need to have a specific colour, you’ll want to know it’s available. You also want to know the colours are fade resistant. The warranty – this should give you many details and tell you how long you can expect the structure to last for. In some cases an extended warranty is available for extra cost, but in fact, the law states that certain things cannot be considered to have a specific time limit, so if your sail fabric tears two weeks after the normal warranty expires, you should still be legally able to have it repaired or replaced for free. Look at the fine print to see if the price also includes installation. It doesn’t always, which means you might be in for a nasty surprise if you thought it did. Besides which, if the price doesn’t include installation, it often means the product is inferior and has a shorter warranty time. It is always better to go for quality when purchasing a sail for your business. You get much better value for your investment and the peace of mind that the thing won’t tear or break, endangering your customers and putting your business at risk of litigation. Plus, quality lasts longer and looks better, making your premises more attractive to customers.